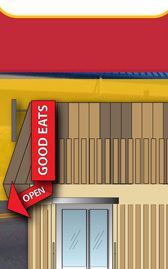 Sals' Good Eats is located at 80 Green Street in Teterboro, NJ. Please use the below form to get directions to us. Hope to see you soon!